Use Less* with DuraClean trade; Texture 1 list-style-type:disc 1 Use up to 4X Less Than the Leading Bargain Brand 2 4X Stronger Than the Leading Bargain Brand When Wet 3 Enjoy the Go with Charmin reg; Ultra Strong Use less with Charmin Ultra Strong bath tissue! 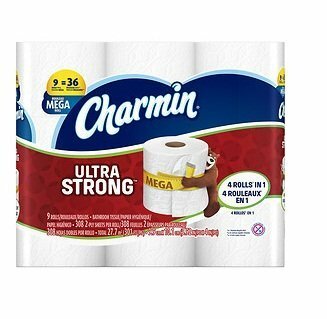 nbsp; Charmin Ultra Strong 2-ply bath tissue is 4X stronger* when wet. nbsp; Which means you can be confident your family is getting clean, while still using less.